Mizar is a space for musical formation, a centre of events: concerts, festivals, exhibitions. Mizar is a socio-cultural centre for the city, deeply democratic and innovating in the means and methods. This project ended successfully on 18/12/2015 15:00! A wonderful t-shirt of the MIZAR centre directly in your house! You will receive directly in your house a CD produced and played by the team of the centre! An afternoon of musical activity for your children and friends offered by the MIZAR team during 2016! MIZAR centre comes directly in your house! A personal concert in your house played by the team of the centre during 2016! 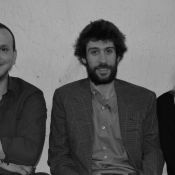 We are three musicians with an extended experience and competence in educational and musical fields:Gonzalo Borgognoni (AR), Beatrice Lupi (CH) and Francesco Paganini (I). We have personally created, managed, supported or collaborated with some projects in South America. We created an associacion in Switzerland to promote interchanges between Europe and Argentina through our cultural centre.